If you are a student with a disability considering a nursing career, this is the place for you. If you are a nursing student with a disability, this is the place for you. If you are a nurse with a disability, this is the place for you. If you are a nursing educator or a guidance counselor working with a student with a disability, this is the place for you. ExceptionalNurse.com is a nonprofit 501 (c) 3 resource network committed to inclusion of more people with disabilities in the nursing profession. 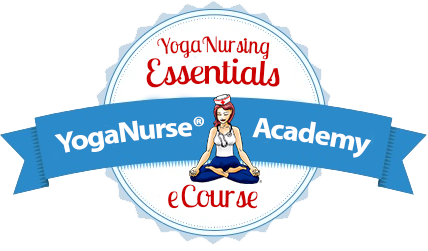 By sharing information and resources, ExceptionalNurse.com hopes to facilitate inclusion of students with disabilities in nursing education programs and foster resilience and continued practice for nurses who are, or become, disabled. This web site is maintained by Donna Maheady, Ed.D., ARNP, an advocate for nurses and nursing students with disabilities. For a copy of her curriculum vitae/resume send an email to: ExceptionalNurse@aol.com. "From Frustrated to Fulfilled: The Empowered Nurses' System" edited by Lorie Brown. A compilation of nurses' stories about how to rediscover the joy, freedom, and passion in nursing. Read and follow the Exceptional Nurse Blog! "Nursing With the Hand You Are Given: A Message of Hope"
"The Disabled Nurse: Focus on Abilities"
Make a suggestion to improve the web site. Share your story or a resource that has helped you. Tell others about accommodations that have been successful. Become a mentor. ExceptionalNurse.com needs you to become involved in this initiative. This slide show was created by www.ExceptionalNurse.com as a tribute to nurses with disabilities for Nurses Week. It features nurses from all over the USA who have various disabilities. The show is a celebration of ability! Nurses and nursing students with disabilities from around the world are included in this message of hope and peace.